Solar Energy is everywhere. It is in abundance and is free. Above all, it is the cleanest form of energy available on earth. As against fossil fuel – which would generate heavy emissions of toxic gases and would pollute the environment damagingly – it is Solar that has no harmful side effects on nature and living beings. Man would never give up deriving energy from whatever source it gets – and if we talk about energy from reserves on earth – coal, oil, etc., these are limited, sporadic [scattered], and are getting fast depleted at menacing pace. Their energy deriving systems also may have their own disadvantages of pollution – be it material or process to harness the energy. But where is the disadvantage of solar energy – none. Going solar is easy and readily applicable. - Save lot of quota of fuel and extend its stock for longer years. Solar would not replace but significantly supplement the energy re-sources. Not to forget, that solar energy has not limits of reserve and it is infinite. - Save from harmful side effects of generation-processes such as mechanized systems for production. Solar energy takes a silent, unilateral scheme of power generation through solar panels. These do not have – any radiations, heat generation, by-products, excretions or emissions, pollutants, noise, – none at all. - Save from transport employed as this locally available everywhere. Sun lights every corner of the earth. It is most readily available resource – that does not even need extraction, lifting or transportation. Lot of instruments that involve in such processes also led to emissions and harmful effects other than additional efforts. - Save from installing big production plants – and commission easily in localized places. Getting rid of big setups spread of several square kilometers is already an advantage. Small, fragmented, localized units are all enough for local requirements. - Almost no impact on earth, air and water – where as a traditional power generation would necessitate fracturing earth, involve drilling, spills [like oil], leakages, risks of burning of stored lot, and such others. 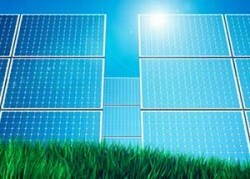 - Solar power systems create such changes on the site – that are reversible too. Dismantling or shifting of solar panels is not as difficult as demolishing and rebuilding a power plant is. It is a fairly mechanical task and easy to manage – that nowhere spoils the land or site permanently. Why not would one like to prefer Solar to other traditional power system.